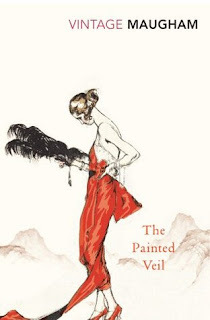 I read The Painted Veil by W. Somerset Maugham AGES ago, like January. I've been kicking myself ever since for not giving this book more love because it was definitely that rare classic that sucked me right in, did not let go, and forced me to read it in two days. Kitty Fane is getting older (by societal standards of the time) and she's squandered a truckload of marriage proposals, so she settles for a nice, boring-to-her, bacteriologist named Walter at her mother's urging and with her sister's grand wedding on the horizon. Walter and Kitty depart to Hong Kong where he is posted, and Kitty begins an affair. Once Walter realizes it, he insists that Kitty accompany him to the Chinese countryside where a cholera epidemic is raging. How's that for revenge? The characters gave me all the feels. I wanted to drop-kick Kitty at times for her selfishness, though she was undoubtedly a product of the time period. She still didn't have to be such a snot to Walter. Ultimately, I did see a great deal of dynamic change in these characters over the course of the book, though Kitty's ultimate AHA moment came far later than I'd anticipated. Moranthology by Caitlin Moran is a follow-up to How To Be a Woman, which I loooved, and it's a collection of columns she's written over the years. Given that all the pieces are short, this is a compulsively readable book full of Moran's signature humor, heart, and enough clever observations to keep it light but meaningful. I especially loved the opening of each section...some ridiculous conversation between her and her husband, often while he is trying to go to sleep at night and Moran can't shut her brain down. While I'm not usually one for pop culture essays, I did really love her reviews and observations about one of my favorite shows...Sherlock! And I was also oddly drawn to a piece on Lady Gaga. Who'd have thunk? I can trust Moran with any topic...from binge drinking, to Twitter, or squirrels' testicles. That's saying something. Link up your own #WeekofReviews posts below! I've gotta keep an eye out for The Painted Veil. I sometime struggle to finish classic literature but this looks like a good pick! I've been seeing Caitlin Moran's stuff everywhere and definitely need to read something of hers soon. I do too! I'm really terrible at actually reading the classics I buy. Ha! This one is more contemporary and so much more readable. I can't wait to try more of Maugham's work. Caitlin Moran is a hoot! Excellent to hear about Moranthology! I will pick this one up! I haven't heard of the Painted Veil but now I definitely am going to check the library for this too. Can't wait for your thoughts on Moranthology! So much fun and SUCH a quick read! I hope you decide to give The Painted Veil a go; it's one of the most readable classics I've ever tried. BWAHAHA! I love your description of Moranthology! This sounds awesome!! Also, can I just say that the cover on The Painted Veil is divine? It was soooo goood. She's just so...normal! lol And yes, that cover is TOTALLY what sold me at first. Luckily, it did live up to the cover! Ha! I adore The Painted Veil! Glad you liked it. Yesss! I can't remember...have you loved his other books, too? Next time you have a week of reviews I am so in! I need to read more classics and The Painted Veil sounds like something I'd really like. 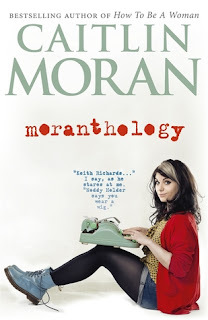 I read Moran's first book but haven't thought to pick up Moranthology. I really should do that. I wasn't sure Moranthology would add much after I'd read How To Be a Woman, but your review has convinced me I should pick it up. Like you, I'm not always excited about pop culture essays, but the ones you mention are on topics I'm into and I do enjoy Moran's sense of humor!